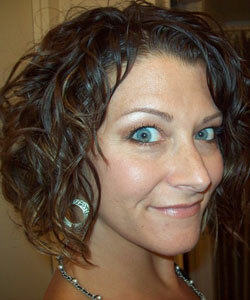 Most of the advice given for second-day hair seems geared toward coilies and sometimes curlies. Many wavies, in fact, find that they have to wash their hair on a regular basis, often daily, which eliminates benefitting from second-day hair. However, it’s possible to get great second-day hair that you can benefit from all day before needing to shampoo your hair again in the evening. Yes, even if you have wavy hair. We first heard about great second-day hair from some of our CurlTalk posters who said they’d rather sleep in than deal with their hair in the morning. Even though one poster in particular wasn’t that fond of her second-day hair, she was determined to make the best of it in exchange for a little extra shut-eye. So what’s her secret to getting second-day hair that she enjoys? Believe it or not, it started with a haircut. Ensuring that you have a good curly cut, and not a cut that works best for straight hair, can seriously improve the overall look of your waves. If you wear your hair wavy on a regular basis rather than straight, tell your stylist. He or she needs to be aware that your daily hairstyle isn't straight — and the cut should reflect that. After getting a curly cut, Goobernut started focusing on the products that would really work well with her hair. To her dry hair, she adds Curl Junkie’s Coffee Coco Curl Crème Lite as well as Curl Junkie’s Pattern Pusha. Ensuring that you have a good curly cut, and not a cut that works best for straight hair, can seriously improve the overall look of your waves. CurlTalk user, “pedaheh,” tells us that spritzing dry hair with product is what helps her as well. As we all know, wavies pretty much have to saturate their hair in order to get great curls from scrunching and pumping. If you’re going to do that, you may as well just hop in the shower and start with a fresh shampoo and conditioning! Instead of jumping back in the shower and starting over, try searching for light-weight sprayable products. Using these in place of water to saturate your curls will save you the time and provide the same saturation waves need to reactive. Wavies, how do you get your second-day hair?